Recently I faced a situation where I needed to limit the bandwidth of my browser (Google chrome), so I looked for any available extension but there wasn’t any That made me to search all over internet across different sites to find a way to achieve that using any external software and finally i found it. In this article I am going to talk about what is bandwidth throttling and how we can achieve it using different software’s. In general we can say that it is the process of limiting the bandwidth. But why we need it? Sometime we face the situation where we need to divide the bandwidth over different applications so one will not use your entire bandwidth. Mostly it is done to divide bandwidth across different users. How we can achieve Bandwidth throttling? Netlimiter is the bandwidth controlling software it servers our purpose perfectly. 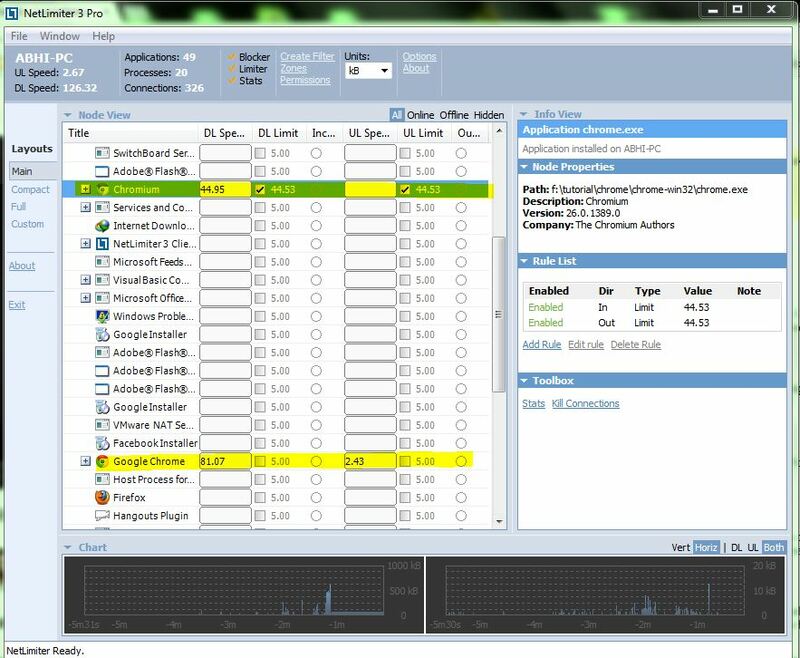 The pros of Netlimiter is that you can control bandwidth of each process running over your computer and moreover its free. To control the bandwidth of one process you just need to select that process and add a new rule it can be inbound(download) or outbound(upload).so you can limit a either Download/upload or both by adding 2 different rules. See the attached screenshot for more details. NetBanlance works in similar fashion just as NetLimiter. 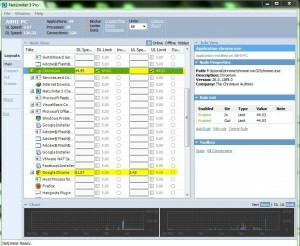 It is also bandwidth controlling and monitoring Software. But the Disadvantage with this is “its not free “. You can try with the Trial version but you will be able to control only 3 process at a time, So my advice is to try Netlimiter first. Unlike others Charles is mainly Web Debugging software however it can be used to control the bandwidth .if you want something to debug your web-application or you want to monitor your network traffic with each get and post call logged go for this. Disadvantage of this is it’s not free you can try with trial version but that works only 30 min per session.